Went to work early today, and took the D300 / 14 mm along with me. 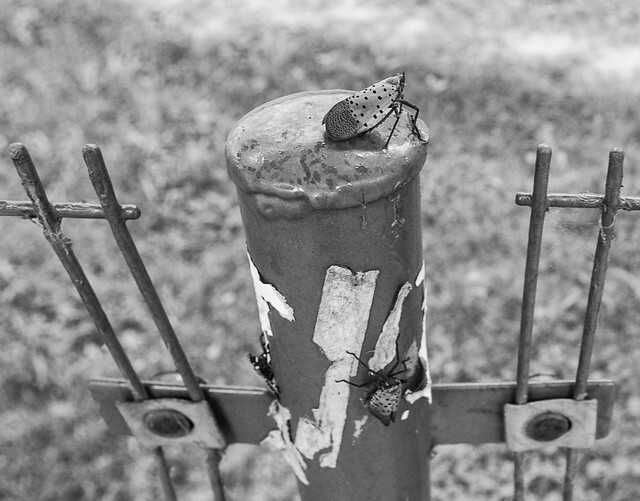 Saw the bug on the top of the post as I walked by, and snapped the shot. Wasn’t until just now that I noticed the other two. Haven’t a clue as to what type of bugs they are. Posted in Beijing Youjian and tagged beijing, bugs, china, post on 2012-07-19 by sujinyan.